Oculus Quest, the much anticipated Facebook’s standalone headset is set to launch this spring although a definite date is yet to be provided. However, in preparation for the launch, Oculus has been teasing its fans with various features that could expect to see in the headset. The latest is a new trailer showcasing some of the new launch titles that will be available on Oculus Quest and even on the Rift. The system will be standalone or self-contained with no wires. Unlike other tethered headsets, it will not require any smartphone or PC to operate and it will sell for an affordable $399. 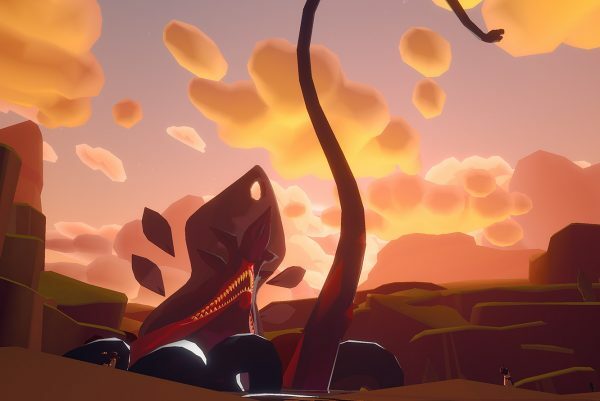 In tandem with its Oculus Quest launch, Facebook is planning to release some 50 titles with more slated in the pipeline throughout the year. The list of titles has been tricking over the past few weeks and we now have a deluge of confirmed titles that are planned for release on Quest in 2019. With the latest confirmations, it looks like Facebook is planning to curate its new headset with some of the greatest hits that were available during the first years of PSVR and PC. 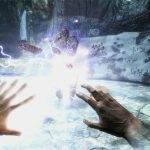 The large Quest selection of titles on offer is partly thanks to the included Touch controllers and promises to create the first true self-contained virtual reality gaming console. Beat Saber will be the perfect launch title for Oculus Quest. In less than one year, the game has already sold more than one million copies on wired virtual reality headsets. Beat Saber is a Czech rhythm game which casts the player as some kind of musically-inclined Jedi by using twin lightsabers which slice the blocks as they come towards the player. The game is fairly simple and quite addictive and will be a one-day release title on the Oculus Quest platform. The good thing with Beat Saber is that it will play to the Oculus Quest’s strengths such as the wireless freedom and Touch controllers. The player holds the Touch controllers in each hand with each of them representing a lightsaber in the Oculus Quest virtual reality headset. The player can then select an electronic song and as the song plays, colored blocks with directional arrows begin scrolling towards them. The player then has to slice the blocks in the right direction as they zoom past. 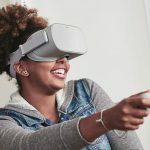 In terms of the handling of the core game mechanics, don’t expect Oculus Quest to do it any better than the Rift or the PSVR where the Beat Saber is already accessible. What you will see is a little more oomph to the gameplay. As the player slices their way through advancing blocks, they may sometimes have to dodge huge walls of energy by either ducking below or sidestepping them. The Quest is also a standalone device unlike the PlayStation VR or the Oculus Rift. 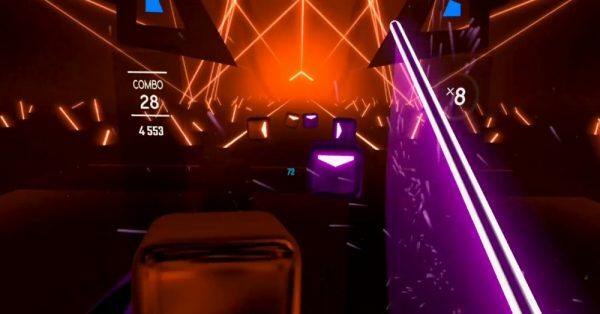 Developers are also planning to add Beat Saber’s existing primary modes which will include the Expert+ difficulty, testing the extent of controller tracking on any Beat Saber virtual reality system. The Quest version is unlikely to have Mods but its official beat mapping and licensed music are still awesome. 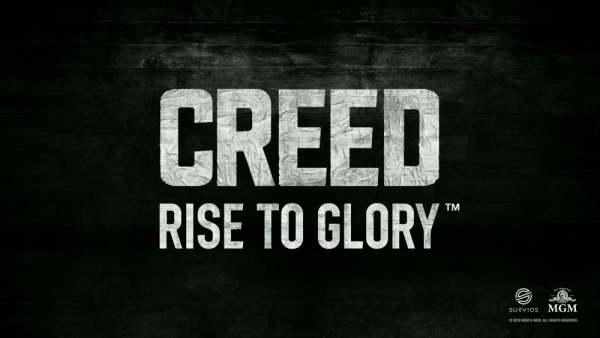 In Creed: Rise to Glory, players can put on the gloves belonging to some of the greatest Rocky legends, the greatest of fictional fighters from the Rocky planet. With Creed, you can get the opportunity to embody these legends as you punch your way to glory. If you love the Creed or Rocky movies, then you will certainly love this VR game. The opening credits and the music alone will get your adrenaline pumping and put you in the mood for some virtual pugilist adventures. Robo Recall is a virtual reality first-person shooter game that was released on March 1, 2017. The intense robot shooter game was developed and published by Epic Games, originally for Microsoft Windows, and was using the Oculus Rift VR headset. The Robo Recall will now shift to Oculus Quest. Robo Recall looks great on PC with some superb graphics and very realistic physics for the robots which gives every player the most satisfying experience of Robo destruction. It’s not clear whether the entire game will make it to Quest. We will know when it debuts on the platform. Superhot VR is a virtual reality game that blurs the line between total mayhem and cautious strategy and providers players with the quintessential first-person shooter (FPS) shooter game that has a Matrix-like mechanics where time only moves when you move. The mechanics of the game are even more promising in the Oculus Quest as you don’t have to worry about getting entangled in the tethering of the headset. In the Journey of Gods, game developers Turtle Rock Studios will equip you with a sword, shield and a crossbow which you will use to take on hulking monsters threatening quiet sleepy villages in the game. The Journey of Gods game has been inspired by action adventures and the classic RPG mechanics with the look and feel of Legend of Zelda: The Wind Waker. Players in the Journey of Gods will collect items, earn upgrades and face off with the enemy. 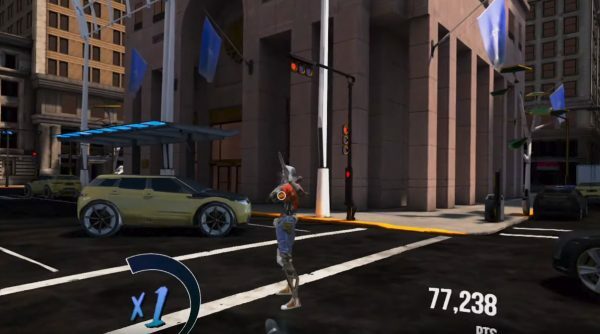 You can have a look at the gameplay of the trailer in order to get a look and feel of the game with its cartoon-like graphics. Turtle Rock Studios is a fairly experienced hand in virtual reality game development so expect to hear quite bit out of this game before its launch. Sports Scramble brings a fresh new take to virtual reality multiplayer gaming. You can pick your favorite sports and then mix or scramble them together in a very unique and exciting gameplay. You can choose to play tennis using a golf club in this fun virtual reality game or bowl with a basketball. There are lots of odd permutations that you can go with including hitting a home run with a hockey stick! 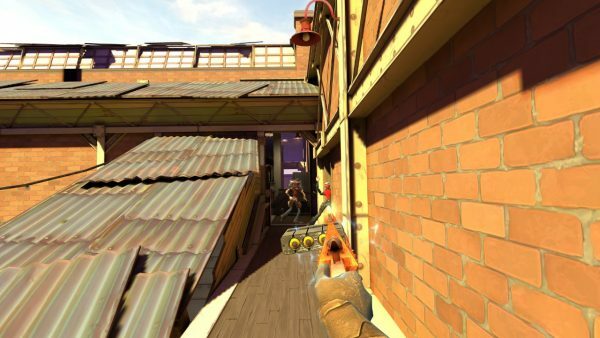 The three main sports in the VR game are bowling, baseball and tennis and each of them has its own Single-Player Training, Quick Play and the Challenge Mode. In the online multiplayer modes, you can flaunt your skills by competing with other players. 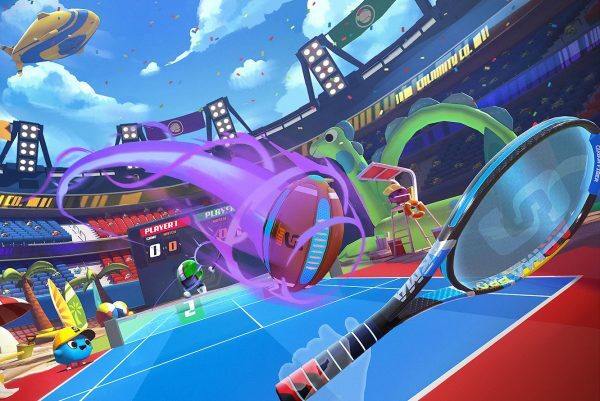 Sports Scramble has been exclusively developed for the standalone Oculus Quest headset. 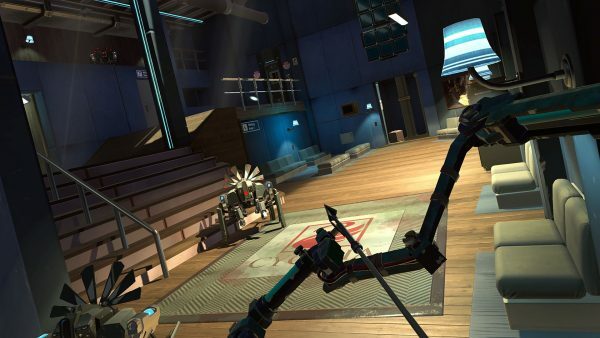 This is an action-adventure puzzle game which was developed and published by the US studio Polyarc and which is tailored for virtual reality platforms. 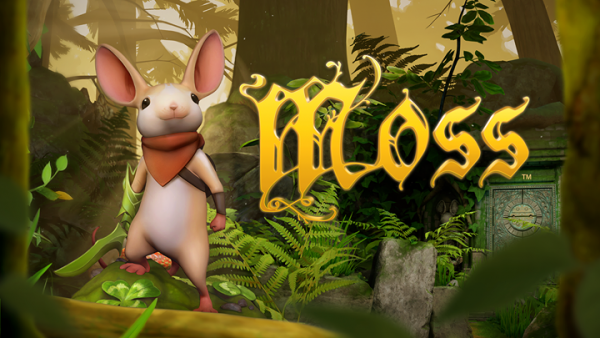 Moss is presented from a mix of both first-person and third-person perspectives and the game is primarily focused on solving puzzles. It’s a fun game with lots of enchanting worlds. 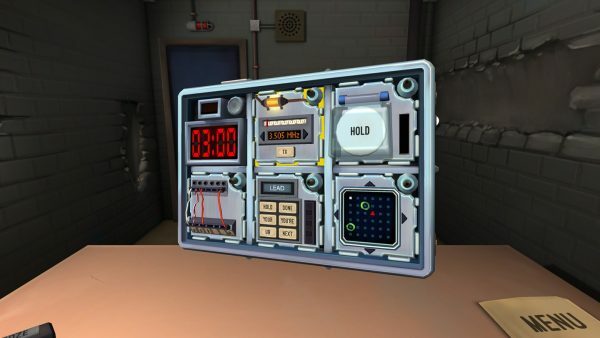 The puzzles will be quite exciting on an Oculus Quest headset. Face Your Fears 2 is one of the most popular titles on the Oculus Studios as it provides an easy and fast way to scare yourself or people you know in virtual reality. This is a superb horror video game that will keep your heart racing as you escape from numerous spiders ranging from the tiniest crawly horrors to the monstrous beasts trying to climb through the windows. If you are arachnophobic or know someone who is, this is the perfect title to scare the hell out of you. The Oculus Quest headset will accentuate the scary effect thereby subjecting you to a fully-developed scare. With the Quest headset, you will have lots of freedom to move around but don’t worry about knocking objects around the room as the Oculus Quest headset has the Guardian system. The development of this multiplayer shooter was taken over by the Facebook internal development team. Its most recent demo showed free controller movement along with a fast-paced team combat gameplay. Dead & Buried II takes you into a world of gunslingers and ghosts. Players can grab the Touch controllers and be the best gunslingers in the wild wild west. This is a multiplayer action shooter game and you will be battling it out with others in an old saloon. Become the badass outlaw and rob runaway trains, link up with other bandits and fend off ghastly creatures and live out all your Wild Wild West fantasies in virtual reality. There are up to 5 gameplay modes in the Dead & Buried II. 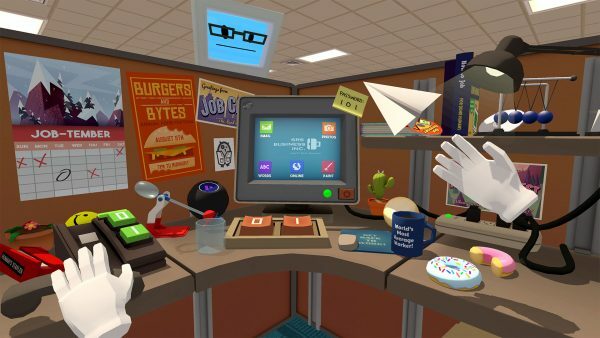 Job Simulator was developed by Owlchemy Labs which is owned by Google. Job Simulator is one of the best selling virtual reality games. For most players, it is usually the introduction into virtual reality. The simulation video game includes multiple playful roles that players can slip into such as an office worker, auto mechanic, a convenience store worker and a chef. Rec Room is a social virtual reality multiplayer service which was developed by the Seattle-based virtual reality and augmented reality software company Against Gravity. Rec Room will give players a cross-play between PSVR, PC and Oculus Quest. It is simply a VR online video game and game creation system and offers a cool place in the virtual environment where you can hang out with friends from all over the world. You can access various multiplayer games in the system including Paintball or simply choose to chill in a park. You will also discover potentially thousands of player-created rooms as well as many new ones that are being created on a daily basis. Rec Room gives players interconnected realms with plenty of games to play as well as adventures that they can embark on. 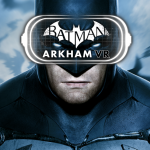 The game is also available on the existing virtual reality headsets. 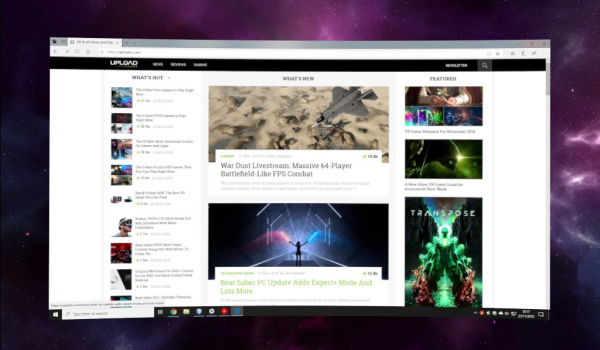 The Virtual Desktop is one of the handiest apps in virtual reality and will soon be making a transition from Oculus Go into Oculus Quest thereby enabling users to log into a PC from virtually anywhere and operate the app in virtual reality. The Virtual Desktop will launch alongside the Oculus Quest headset this spring. This is a fairly “old” game, by current standards having been released in 2015. In this multiplayer game, a player is tasked with defusing procedurally-generated bombs with the help of other players (assistants) who sit outside and shout out instructions from a manual. The multiplayer game is a cooperative venture and is a good way to bond with friends. 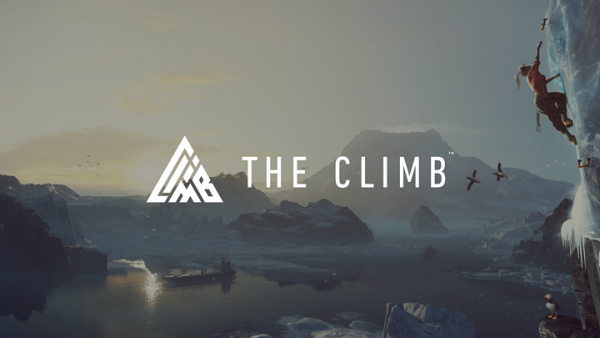 The Climb is a first-person VR video game that was released on the Oculus Home in April 2016. It was developed for PC by Crytek in collaboration with Oculus VR. The Climb involves a player climbing stone walls to the top of each of the stages that has been presented. You will look up and search for places that you can grip with your hands and try your best not to fall off. It should look good on Oculus Quest. Shadow Point is the latest release from the UK VR studio Coatsink and was developed by the same team behind the Augmented Empire, They Suspect Nothing and the Esper series. Shadow Point is a return to the developer’s puzzling roots and is a story-driven puzzle game where the players go an exploration of a fantastical kingdom with the assistance of an observatory. The player goes on the hunt for a missing schoolgirl called Lorna McCabe who disappeared 12 years ago. The game uses the voice of Sir Patrick Stewart and takes players through various puzzles. The VR game relies on brain teasers that utilize optical illusions to keep the players guessing. In Rush, you can take to the skies flying in a wingsuit. Rush is already available in the Oculus Go headset and will likely look similar on the Oculus Quest headset. 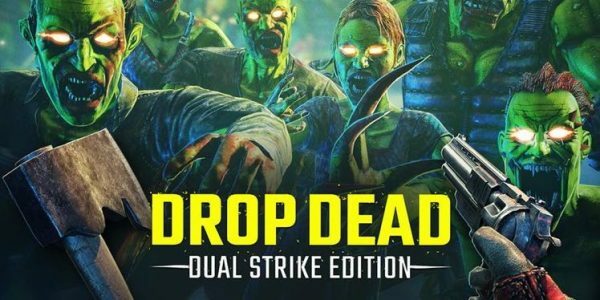 Drop Dead: Dual Strike Edition is an early virtual reality zombie shooter game which nonetheless worked under serious hardware constraints with the Samsung Gear VR and has since been transitioned to the Oculus Rift. The new Oculus Quest might unlock lots of possibilities in the Drop Dead: Dual Strike Edition by leveraging the new dual touch controllers and enabling the player to utilize both hands. The Space Pirate Trainer is the definitive arcade wave shooter game for the first virtual reality generation. The game was developed and published by I-Illusions which has fine-tuned the SPT’s gameplay including the drone-fighting mechanics, its progression and the enemies over the past years of development. The developer has also worked hard to bring the Space Pirate Trainer to almost every platform that has dual hand controllers. On Quest, players are actually to get bigger playspaces that have been enabled by the headset’s Insight tracking system. The Under Presents is an interactive live theater for Oculus Quest. This “mind-bending” theatrical title was financed by Oculus Studios and immerses viewers into a “vaudeville stage” existing in a special dimension that is outside both space and time. The VR game was developed by Los Angeles-based studio Tender Claws which is known for working on projects exploring existential/philosophical questions related to both virtual reality and augmented reality. 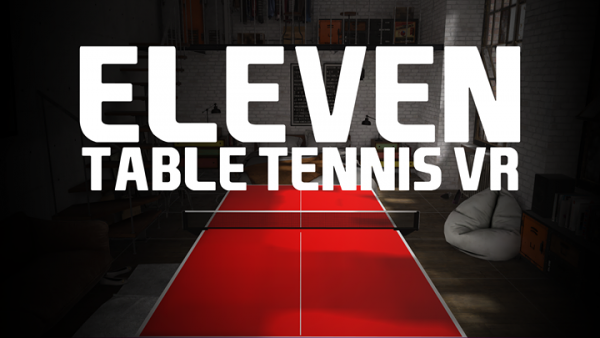 Developed for Oculus Quest, Eleven Table Tennis gives you the ultimate Table Tennis simulator. You can practice against an advanced artificial intelligence (AI) or play against other opponents in the online multiplayer. The physics of the game have been designed to be as realistic as possible, the best you will ever get in a Table Tennis simulator. It’s said that you will even forget that you are playing or practicing in virtual reality. This will definitely be worth a try! Resolution Games’ Angry Birds, a massively popular hit a few years back, is coming to Oculus Quest. The popular franchise will be making the transition from 2D screens to 3D physics to give you a whole new kind of experience of the game in virtual reality. 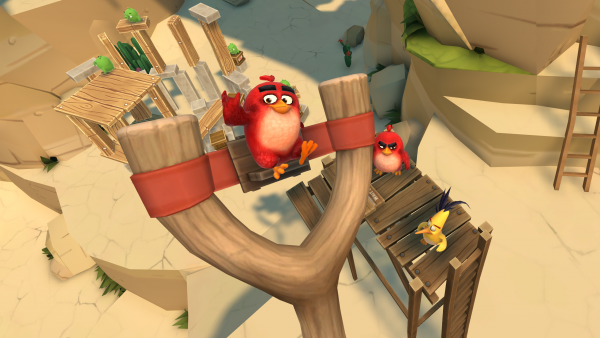 It will come to Oculus as Angry Birds VR: Isle of Pigs. Prepare to join Bomb, Chuck, Red and the Blues as you try and save the stolen eggs in a deeply immersive virtual reality adventure. You can also explore the remote island with the greedy green pigs and enjoy over 50 fun-filled levels as you take their vacation. You can explore the party city via the steep cliffs, exotic beaches and the snowy slopes and destroy the structures there spectacularly to earn your stars. There are different angles that you can pick to take your sling shots and the Oculus Quest headset makes this even easier. Use the Angry Birds classic gameplay for the best scores. Every level will be a puzzling challenge with their pigs, balloons, boulders and fans. Schell Games Until You Fall is an upcoming virtual reality game that takes you on a magic-infused sword-fighting combat gameplay. The new title will entail players mastering their own unique combat style to use in fending off a variety of threats including humanoid creatures, monsters and many others. There are roguelike elements in the game that ensure that the players are still able to make progress in the game even if they die. Until You Fall could potentially be a dungeon crawling RPG game. It’s got that potential written all over it due to its fantasy characters, its sword-wielding warriors or the melee fighters that take the center stage in its promotional artwork. There is a very high likelihood that this game will be coming to Quest. 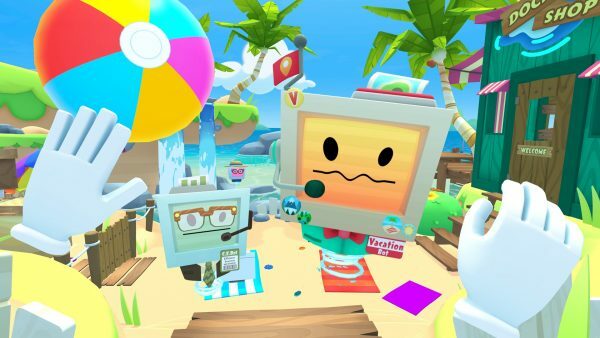 Vacation Simulator is a larger sequel to Owlchemy’s groundbreaking Job Simulator which was developed for the 2016 launch of HTC Vive and includes plenty of activities along with a much bigger world to explore. The title will be launching on Oculus Quest in time for the 2019 holidays. This game was supposed to be released in 2018 but was pushed forward into 2019. 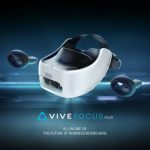 To date, the title has launched in practically all the leading virtual reality headsets with fairly robust 6 degrees of freedom (6-DoF) hand controllers. 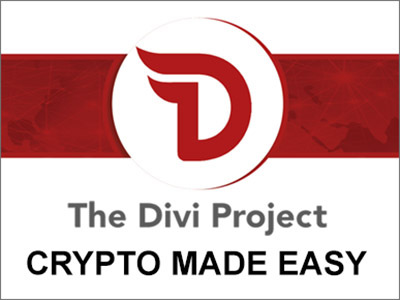 The company was acquired by Google in 2018 while working on a follow-up title. 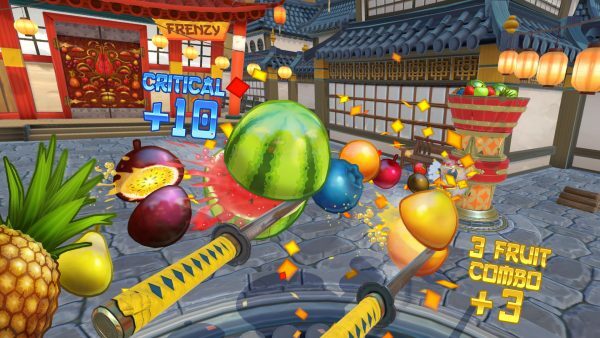 Fruit Ninja VR entails slicing objects using swords in virtual reality. Fruit Ninja pioneered the slicing of advancing objects long before Beat Saber incorporated various beats to the addictive activity. If you are looking for a need to slice, this is the perfect game for you. Quest’s superb features should make for an incredible gameplay style. This Harmonix dance simulation game will launch with the Oculus Quest this spring with 32 songs that will cover a cross section of musical genres. The game will also have an online multiplayer portion where you can meet up and dance with other friends in a virtual reality lounge. You might have tried your cutting edge moves with the original Dance Central on Xbox 360 thanks to Kinect or even on the Kinect-less Xbox One. SculptrVR allows you to sculpt Minecraft-like custom worlds. 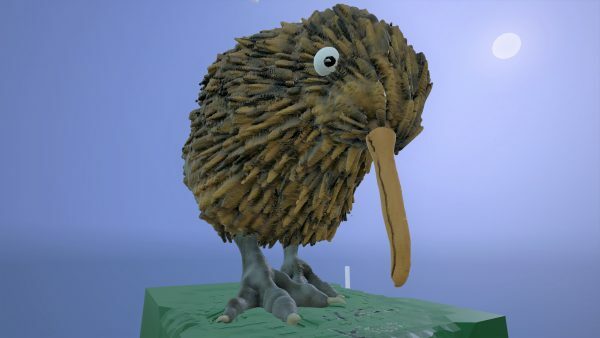 The 3-dimensional game will let you create and sculpt anything that you wish to. The virtual reality platform makes it easier to create, explore, destroy and share the brilliant new worlds built in virtual reality. You can even team up with up to 16 players across platforms and create together online. There is likely to be a Quest version of the app before the end of the year. Created by Bit Planet Games LLC, Ultrawings is an aerial-themed virtual reality game that lets you use your virtual hands to fly multiple aircraft to victory on missions across a spectacular and island-themed landscape. There is already an Oculus Go version of the flying game which features four aircraft types each of which has different handling. The Oculus Go version also had four islands to see. 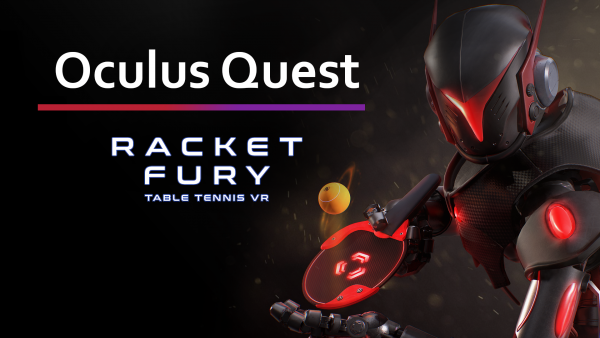 It’s already been confirmed that Racket Fury table tennis game will be coming to the Oculus Quest headset. Developed and published by 10Ants Hill, Racket Fury is a fast-paced and strategic game. In the game, a tennis tournament has become an interplanetary phenomenon to help maintain peace in the Crown Galaxy after almost 2 millennia of endless wars that claimed many Zen lives. You will be an aspiring Zen and will be challenged to join and be part of the most prestigious team in the Racket Fury Tournament which has dominated the competition- the Division of Steel. You can face up to 16 opponents and play in four distinctive cups. Racket Fury immerses you into some of the most intense table tennis matches you will ever experience in VR. 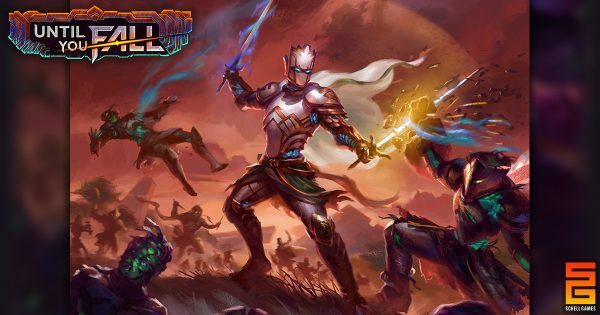 You will be up against a coterie of challenging rivals when in the singleplayer campaigns and then you can battle and climb your way up the ladder in Crown Galaxy. In the multiplayer mode, you can join in on heated exchanges with players from around the world who are just as eager to win. 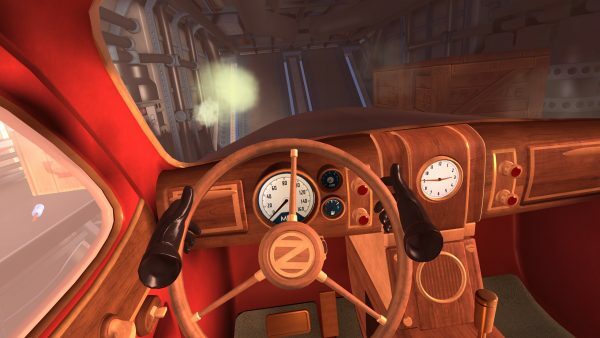 Developed by one of the most prolific virtual reality game developers in the world, Schell Games, I Expect You to Die is a puzzle game where a player goes into the world of elite secret agents and is tasked with a series of dangerous missions that they must solve quickly or perish. It’s the biggest VR game from Schell Games. 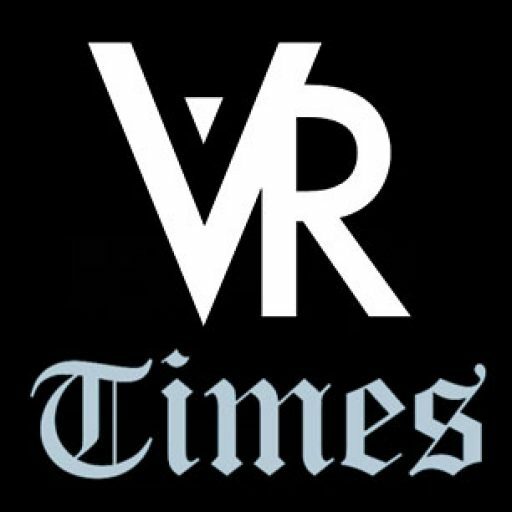 vTime has been described as the world’s first cross-reality (XR) social network. It’s a social mixed reality service that allows you to meet friends in augmented reality, virtual reality or in 2D Magic Window Mode. The social VR service is available in almost all the headsets and even on mobile phones where it appears as a “window” mode without headsets. It has got the feel of a virtualized chat room. This is a story-driven and single-player action-adventure game that was exclusively made for virtual reality. The player will take on enemy robots using a shield and an upgradable cyber bow while at the same time exploring a shattered world and as they proceed through the game, they come to discover what caused the extinction of mankind. The bow and shield combination in the Apex Construct worked well with the wired headsets and it will be interesting to see how it stacks up in a wireless headset such as the Oculus Quest. VRChat is another social virtual reality game that will be coming to the standalone wireless Oculus Quest headsets. 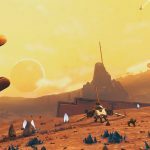 The VRChat game is an interconnected set of worlds and is similar to social VR services that we have covered in this list. It offers players plenty of customization options. The developer will in the future reveal details on the number of worlds that will be accessible in the wireless headset and maximum number of people who will be able to visit the worlds together in the multiplayer modes. BoxVR has been described as the best virtual reality fitness game of the year. 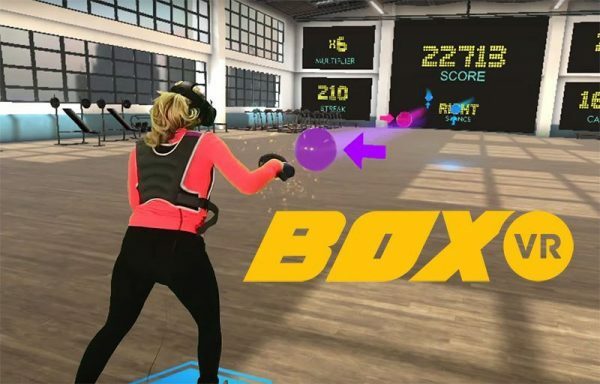 The VR game combines high intensity with boxing-inspired workouts to virtual reality thereby enabling players to work out and lose weight in VR via the game. The workouts in BoxVR have been designed by fitness experts so they will really pack a punch as far as your fitness goals are concerned. The game developers were advised by a team of specialist fitness experts who assisted them in creating the large variety of workouts which range from the shorter warm-ups that last for only 3 minutes to the more extensive endurance workouts that last for more than 20 minutes. You can even track your progress during the workouts. Every workout in BoxVR will be recorded to give players a sense of the number of calories they have burned for the duration. You can train with music in the BoxVR. The Workout Generator analyzes your music and comes up with workout routines that will suit your musical mood. Bait! 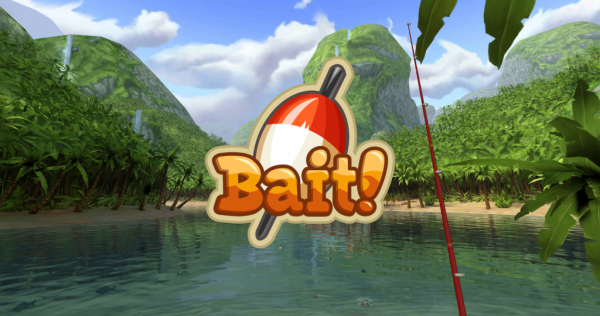 is a fishing game by Angry Birds developer Resolution Games and is currently one of the best-grossing and most popular virtual reality games on Oculus Go and Samsung Gear VR. 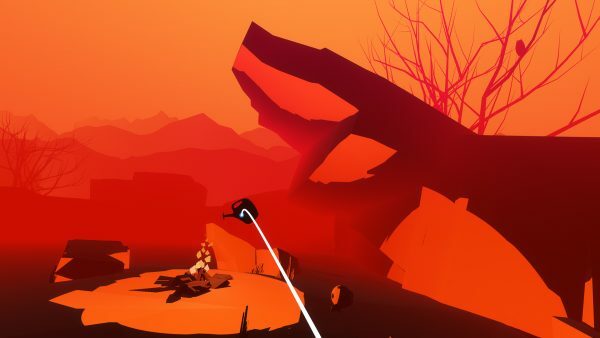 It has already been confirmed for release on Oculus Quest in spring this year. It is a pleasant and casual virtual reality fishing game where you will play a fisherman and work for your boss and assist them in catching rare fish in order to save your aquarium job. More than 2 million people have already signed up and played the game. Prepare to join this pleasant and relaxing game in Quest this spring. Virtual Virtual Reality was initially released for Google’s virtual reality headsets. The game takes you on an existential exploration of various realities and should work out fine on the Oculus Quest headset. It was initially developed and by Tender Claws and published in March 2017. Virtual Virtual Reality (V-VR) is a narrative-driven and comedy-adventure game about virtual reality and artificial intelligence (AI). The game is set in a fictional future world where the society has been transformed by AI and explores whether humans can still find meaning in such a society.